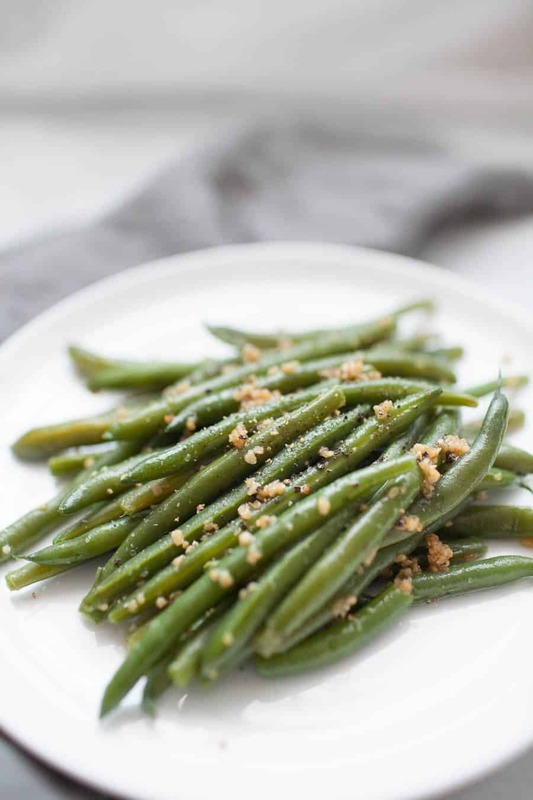 Garlic brown butter green beans are the perfect vegetable staple for your home. 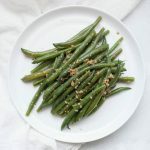 These green beans go with so many entrees and they are so easy to make, whether it’s with fresh or frozen green beans. Even your kids will love this flavorful vegetables. My love for cooking really sprouted when I started working full time. This might sound like the opposite of what would happen, but let me explain. My first corporate job was working as a graphic designer, meaning I sat in a desk all day with my hands on a keyboard. At the time, I had also already started blogging and had freelance graphic design clients, too. So for me, cooking was a very nice escape that allowed me to physically create with my hands, rather than just digitally creating on a computer screen. Cooking always makes me feel like I’m part of an older time period, too. I’m not usually one of those people who feels like they were born in the wrong generation or anything, but when it comes to cooking, I definitely have an old school style. One thing I absolutely love doing is trimming green beans. You could totally just cut off the stems (the firmer pieces on one end of the green bean that the beans grew from), but I love the process of breaking that stem off. 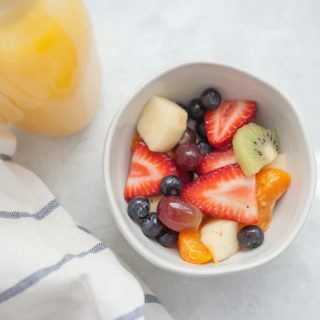 It takes just a handful of minutes and gives your water time to start boiling, anyway. But if you’re looking for something quick and easy, go ahead and chop off the firm ends with a knife. We absolutely love eating fresh green beans in our house. We eat canned green beans a lot too but usually we’re eating those when I’ve neglected to think about what will go with our entree. Fresh green beans just have a completely different experience about them from canned green beans. I remember working at the restaurant in college where we served haricot verts which felt super fancy but really was just the French word for green beans. That’s probably where I discovered how much better fresh green beans are than canned. 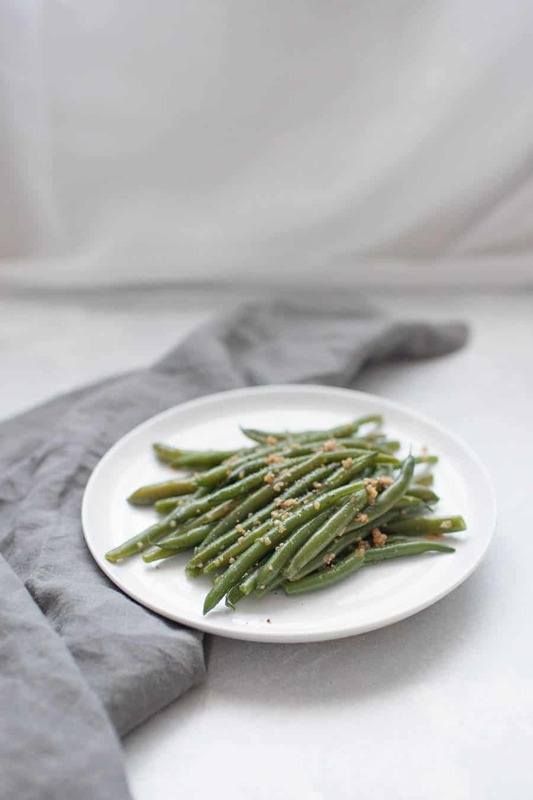 For nights where you may need something yummy in a pinch, you can totally use frozen green beans for this recipe, whether they are chopped or “French” style, which usually just means they’re kept whole and may slightly skinnier than cut green beans. Either way, the “sauce” is really the star of this show, even though it’s barely a sauce at all! Some of my favorite entrees to go with garlic brown butter green beans are pan seared apple pork tenderloin or pistachio dijon mustard chicken. Also recommended, serving with goat cheese rosemary drop biscuits. Garlic green beans also make the perfect side dish for Thanksgiving or the start to an incredibly yummy green bean casserole! strainer and melt a few tablespoons of butter on medium-low heat. wooden spoon to move the butter around the pan, scraping any pieces of butter that might’ve browned and crisped up at the bottom of your pan. Once the butter starts to darken, add your garlic in and stir frequently so that the garlic doesn’t burn. 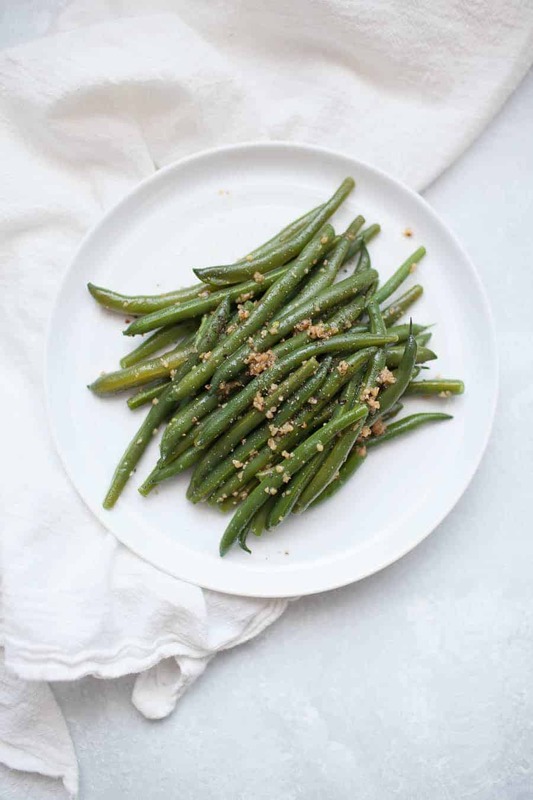 That’s the secret sauce to these delectable garlic brown butter green beans. 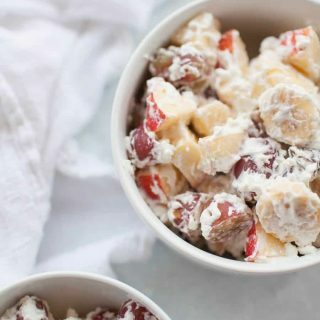 Scroll down for the full recipe and to make your own! 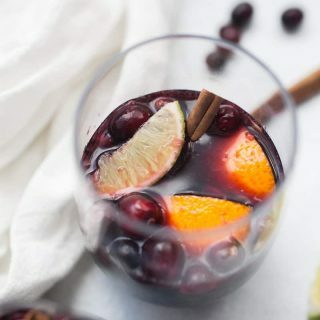 In a stainless steel pot, bring 4 cups of water to a boil. Remove stems from green beans by cutting or pulling them off by hand. Add green beans to boiling water. Boil for about 10 minutes, then use a fork to test the tenderness of one of the largest green beans. If you prefer green beans to be less cooked, test a few minutes early or add a few minutes for more tender green beans. Strain green beans and set aside. In the same pan, melt 3 tablespoons of unsalted butter over medium-low heat. 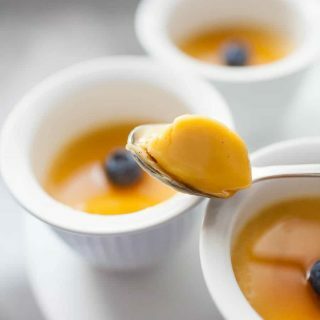 As it’s melting use a silicone flexible spatula or wooden spoon to move the butter around the pan, scraping any pieces of butter that might’ve browned and crisped up at the bottom of your pan. Once the butter starts to darken, add your garlic in and stir frequently so that the garlic doesn’t burn. Once garlic is fragrant, about 3 minutes, add drained green beans back to pan and toss to cover beans with butter and garlic. Add salt and pepper and toss once more.